I’ve just returned from a weekend retreat of rigorous study and practice of the most enjoyable kind. 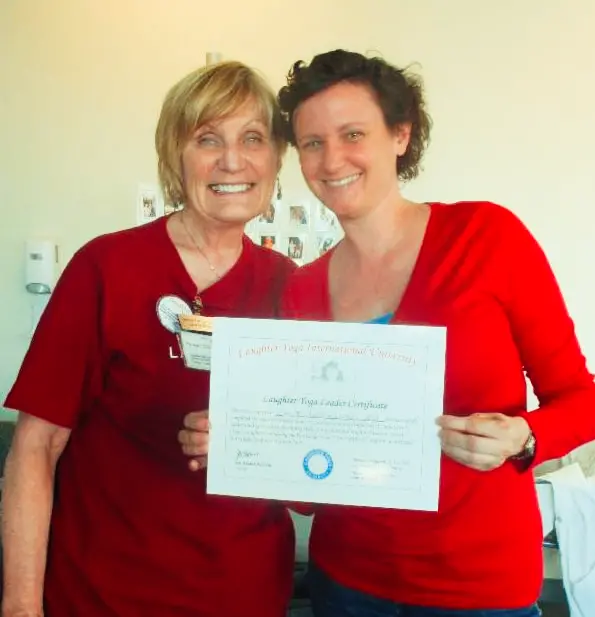 Laughter Yoga, a practice that unites various healing practices, should not be underestimated for its applications in health and well-being. 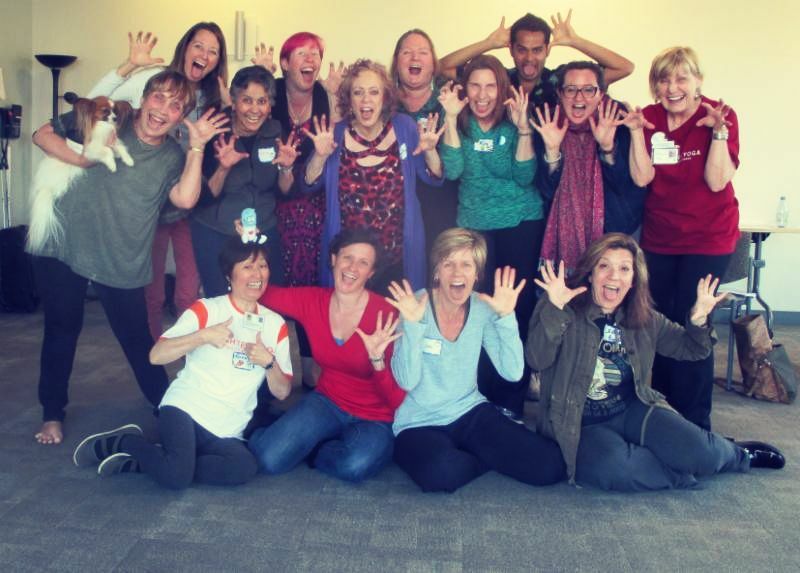 What follows are some quick facts about the practice of Laughter Yoga, along with the photos of my weekend! 1. Laughter Yoga is a unique concept where anyone can laugh for no reason without relying on humor, jokes or comedy. 2. We initiate laughter as an exercise in a group but with eye contact and childlike playfulness, it soon turns into real and contagious laughter. 3. The reason we call it Laughter Yoga is because it combines laughter exercises with yoga breathing. This brings more oxygen to the body and brain which makes one feel more energetic and healthy. 4. The concept of Laughter Yoga is based on a scientific fact that the body cannot differentiate between fake and real laughter if done with willingness. One gets the same health benefits, whether laughter is real or simulated. 5. It was started by a medical doctor Dr. Madan Kataria supported by his wife, Madhuri Kataria, a yoga teacher, from India with just five people in a Mumbai Park in 1995. There are thousands of Laughter Clubs in more than 106 countries. I am still working on finding a space to host these classes so stay tuned for a calendar of events! !